Travelling and camping can be a messy experience. If you are traveling with children then you know how much dirt they can bring into even the most well kept RV. A vacuum system can help you maintain a clean and comfortable environment inside your RV, for yourself and those with you to enjoy. 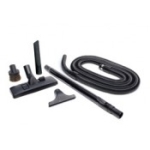 These vacuum systems are powerful and compact so that you can quickly and easily clean your RV and then store it away so that it doesn’t take up room that could be used for other activities. There are also wall mounted vacuum systems in order to help you save space while still having your vacuum available whenever you need it. Have allergies? Don’t let those allergies hold you back from enjoying your life to the fullest. There are many options for minimizing the allergens in your home. 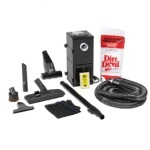 A good built in vacuum system is a great option to keep dust and pollens from making you miserable on the road. With a HEPA filter bag and its ease of use, the InterVac Beige Hang/Flush Mount Vacuum System is a great product for the allergy prone RVer.